How to backtest WallStreet Forex Robot 2.0 Evolution? 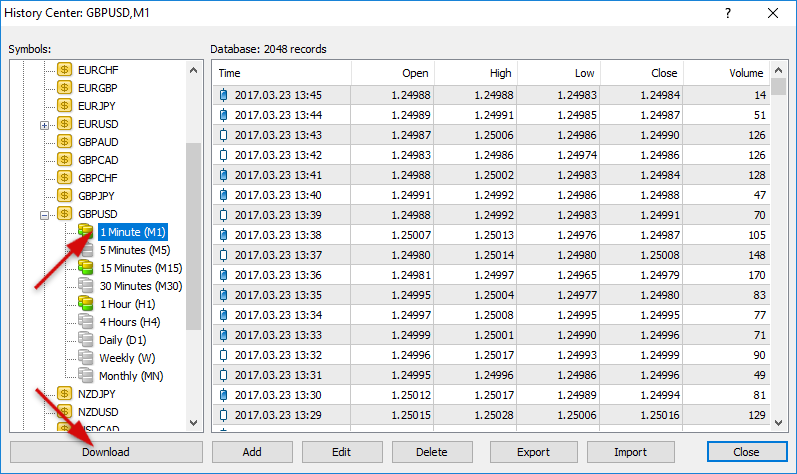 Backtesting is the process of testing a forex robot/trading strategy with historical data available in the MetaTrader 4 terminal, to see how it would have performed in the past. Theoretically, if a forex robot (called also expert advisor) worked well in the past, it will continue to do so in the future. Therefore back-tesing is very important and must be done correctly. Although that WallStreet Forex Robot 2.0 Evolution and the other robots WallStreet ASIA Evo and WallStreet Recovery PRO Evo are already optimized and you don't need to make any optimizations and imrpovements you may want to try some custom settings or to test the robot on unsupported pairs. Therefore you have to know how to backtest the robot correctly. Otherwise you may get unexpected results. Please, do not forget to activate your demo, or real account, even if you only wish to backtest WallStreet 2.0 Evolution! The backtest by "Every tick" is the most precise, but it is very slow. If you wish to save time you can run the backtest on M1 timeframe by "Open price only ..." method and this will be correct too. If you have any questions about backtesting process don't hesitate to comment below. You include EURJPY in the list of 8 recommended currencies here but in your FAQ you list 7 currencies and do not include EURJPY. 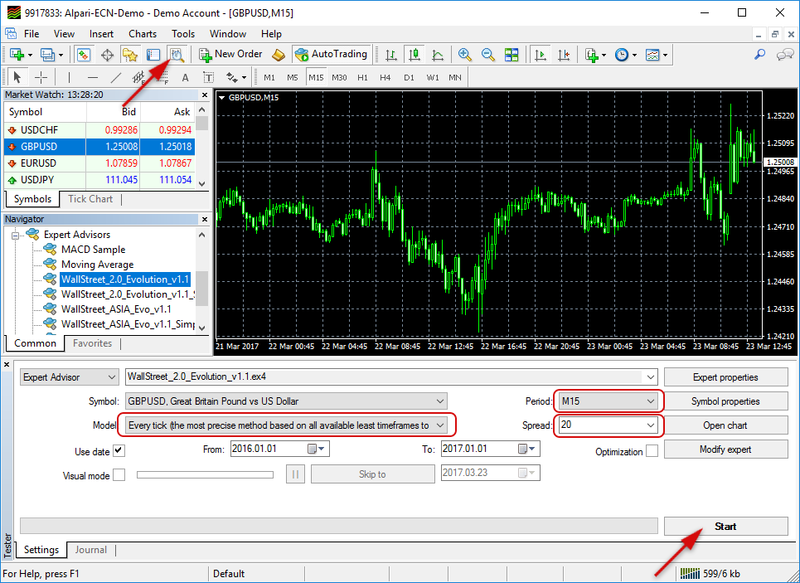 "Another great benefit of WallStreet Forex Robot 2.0 Evolution is that it was designed especially for the most liquid, narrowest spread currency pairs: EURUSD, GBPUSD, USDJPY, USDCHF, USDCAD, NZDUSD and AUDUSD." Which info is more accurate? We are very sorry for this mismatch. WallStreet 2.0 Evolution also supports EURJPY currency pair. The information on FAQ page was not updated. We have fixed this and now on FAQ page the supported currency pairs include also EURJPY. Здравствуйте может кто помочь с настройкой данного робота? Maksim Lykov: Здравствуйте может кто помочь с настройкой данного робота? Hello Maksim, Please go to member area Support page and create a support ticket. Explain what is the issue and one of our specialist will help you to use our forex robots successfully.